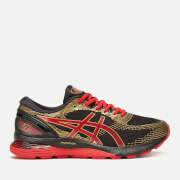 Men’s ‘Gel-DS Trainer 23’ sneakers from Asics. The fluorescent yellow trainers boast an Adjustable Slit Upper which supports the foot without weighing it down, whilst Propulsion Trusstic Technology mimics natural connective tissues in order to improve movement. 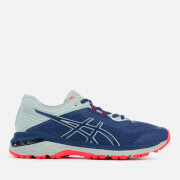 Featuring a lace-up fastening, perforated panels and reflective details, the running shoes combine a Flytefoam midsole with a GEL cushioning system for maximum bounce back and shock absorption. 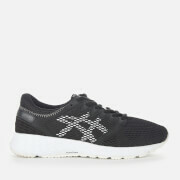 A durable contrasting outsole and iconic branding complete the design.